Finally a solution to easily snap your bump stop shims onto your shock shafts. The JOES design crew has come up with a practical system for quick installation and removal. The JOES bump stop tool is specially shaped to work with JOES bump stop shims. A quick push and your shim snaps in place. Each shim has a hole that lines up with a pin on the removal tool for instant removal. Shims available for 5/8″ or 1/2″ (14mm) shafts. Sold separately in packs of 4 or in a kit. 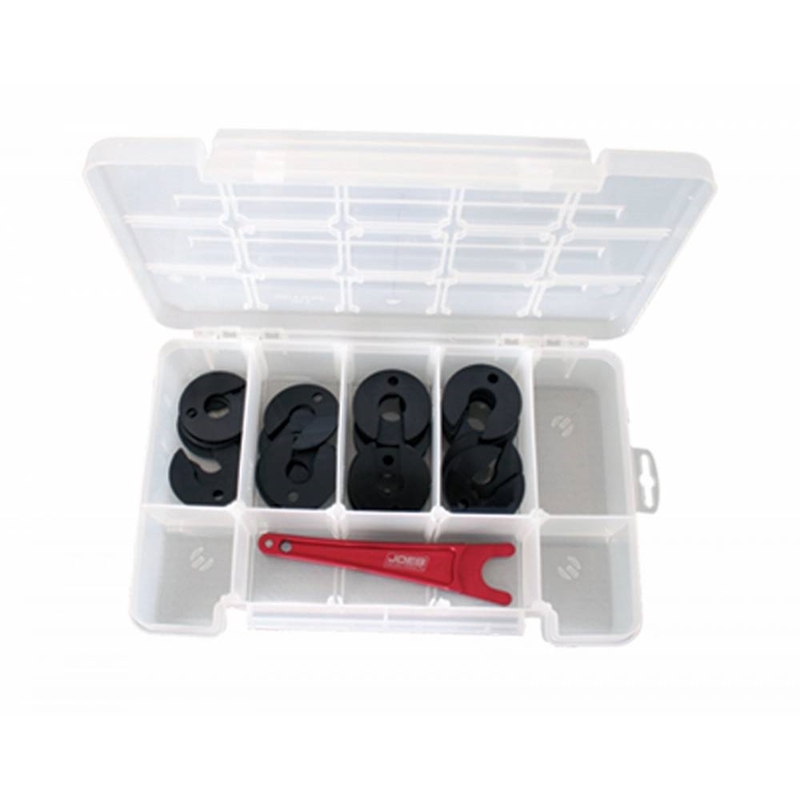 Bump Stop Shim Kit includes case, bump stop wrench and 4 of each shim, 1/16″, 1/8″, 1/4″, 3/8″.